I have a two projects I am wanting to do. Most of them are paused as I wait for a bit of income to be able to finish them. 1. Small Fish Tank Terrarium: This is a small plastic tank that is less than a gallon. I have started the base of gravel, now I need the charcoal and soil, as well as a fern. This will be a closed terrarium, or at least that is the plan. 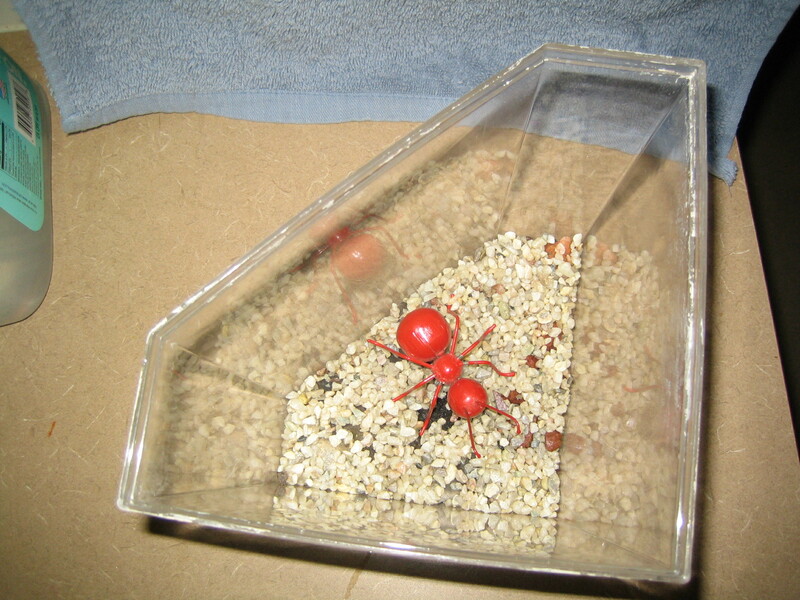 I have a large toy red ant in the tank for an idea of how much space I have for a plant. 2. 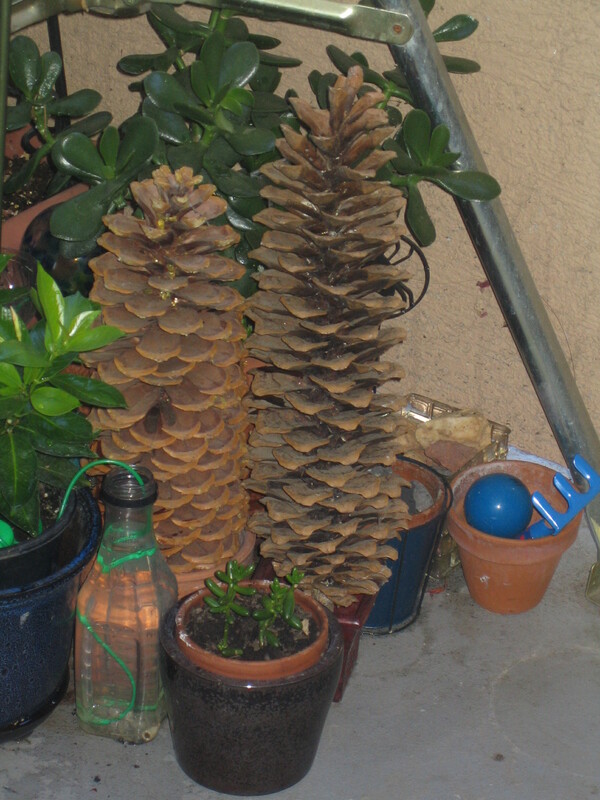 Pine Cone something: I have acquired 2 pine cones of unusual size that I want to do something fun with. Due to the size I am thinking I can use them to hold air plants, or small succulents. I will need to put some sphagnum moss in some of the openings and then I believe I can tuck in some plants. I have a few small terra-cotta pots that I have put some seeds in for California Poppies, that I plan on giving to one of my neighbors when they start coming up. I also am finding because I am running a bee bar for the local honey bees at my fountain, that the hummingbirds are not coming to drink. I just watched a hummingbird flee from a couple of bees. When I looked it up, I found that hummingbirds seem to avoid bees. Even though hummingbirds eat small bugs, the bee seems to be a threat to them due to the stinger. I am sad I do not get hummingbirds during this heat. I will have to problem solve a solution for the birds. Ummm…maybe add something else for the hummingbirds to drink from? 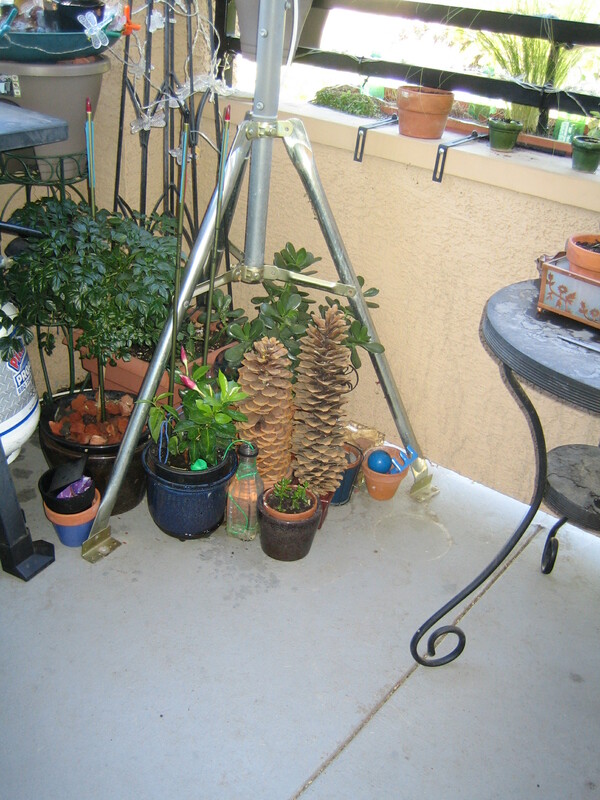 And the idea of using the pinecones for succulents is a good one.